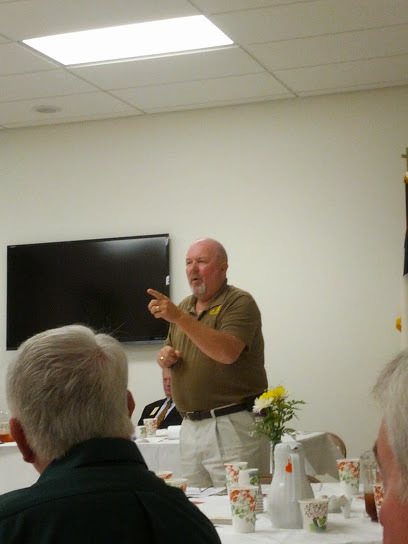 Our speaker in the month of May was Lion Wayne Magoon, who is President of the Waldorf Lions Club Foundation. The Waldorf Foundation recently has taken ownership of the running of Lions Camp Merrick, a beautiful camping complex in southern Maryland that, along with regular camp, does special programs for blind, deaf, and diabetic children. Lion Wayne gave a detailed report about the budget of the camp, the state of its programs, improvements that are being made, and opportunities to volunteer at many of the camps programs.